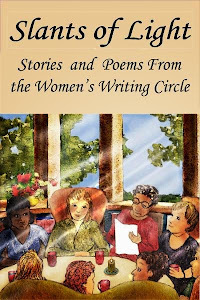 Women's Writing Circle : How To Promote Your Book? What's the best way for writers to promote themselves? This was the topic of a discussion on LinkedIn's Books and Writers group a couple weeks ago. It is still going strong with over 11,000 comments pouring in from authors all over the world. I joined the fray, offering up thoughts about KDP Select - does it work? - and other things I have learned about book promotion in the last year and a half as an author. The most important thing I learned - Never, ever underestimate the power of face to face conversations about your book in your own community. 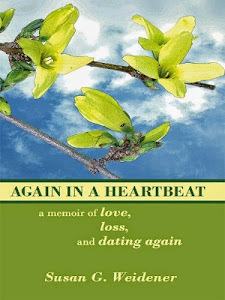 Recently, I placed a copy of Again in a Heartbeat on the shelf in my local Curves for women in Lionville, Pennsylvania. It was suggested to me that since the Curves in a nearby town had closed and we had garnered over 20 new members, some of those women might be interested in reading my memoir. After all, the book, which first came out in July 2010 sold - much to my surprise - over 30 copies at Curves in Lionville that summer. How was I to know that one of the women who today asked me about the book was a former oncology nurse? How could I know she would suggest I take my memoir to the cancer center of the local hospital. "Mention my name," she offered. How was I to know that another woman who looked at the book - and bought the paperback - operates an in-home health care business and was interested in a story about family members coping with chronic illness? Time and again it has amazed me the "gifts" these conversations engender, not just in terms of getting the word out about my book, but in human terms . . . the sharing of life's most intimate and personal stories and memories that arise as we talk; a brother who died of leukemia yet never could accept death, either his own or those around him; a mother-in-law dying of colon cancer who only needed to hear the words, "You can let go now," to end her long struggle. While the conversations and the connections are the gems of any author's experience, the eBook phenomenon cannot be underestimated. For three days this past month, I ran a free promotion on Amazon's KDP Select, meaning my book was free to download for Kindle users. 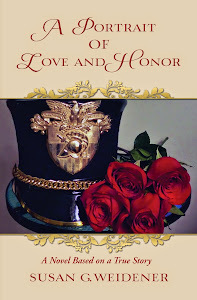 For those three days and several days after leading up to Valentine's Day, over 600 people downloaded the book; it is not clear how many bought the book (from what I can tell, royalties are based in part on the number of free copies divided by the number who either paid for or borrowed the book). Earning $100 in royalties, which I did as of this date, may not sound like a lot. More intriguing was the realization that 600 people (including 80 in the UK) found my memoir interesting enough to order and start reading. So in that sense, the KDP Select promotion (which didn't cost a dime - and I didn't have to do anything) was more than worth it. I will definitely consider doing it again. For in the final analysis, an author wants to be known and her writing enjoyed. It is her offering, her gift to her readers. There is a quiet satisfaction and slow momentum to this work of authoring. 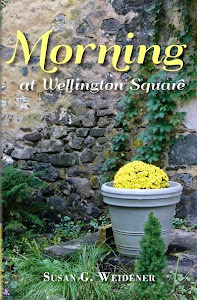 Like building blocks, the conversations and connections - and the free downloads - all help the author gather stamina to continue to promote and build an audience for this book and the next . . .and maybe even the next book to come. Each new reader is a gift. I came here from the LinkedIn discussion and I continue to follow it. Each day I learn something new. I agree about the postcards. Other authors have done that and I'm sorry I didn't do it with "Again in a Heartbeat." I definitely plan to have postcards at the ready with my new book. Like you said, you never know who you might run into. I'm glad you agree about face to face conversations. We live in such a digital world, we sometimes forget the beauty of the up close and personal human connection. Certainly I have had good results with face to face contact. But it is limited geographically. We also need to network on-line. I agree that nothing beats F2F for instant sales and lasting promotions. One tends to remember an author one has met - the name stays, and when one sees the name again, the face instantly pops up. Speaking engagements are great because of this aspect. Online promotions must be understood to be completely different. An author must go around them in an entirely different way. Be interesting in a diverse fashion - offer more. I have found both to be rewarding, and exhausting! But one goes to bed tired and satisfied. Thank you everyone for your insightful comments. An author's work never ends, but how interesting and exciting the journey is. Can offer a bit more info on the post card? What info do you put on it, and when do you feel you have the opportunity to leave it? Thanks. Susan, I love your blog. Great info here. Jeanne E. Rogers - linkedIn, Books and Authors. I know people who use VistaPrint for the postcards because it is so reasonable. The postcards feature the cover of your book, your website and the links on how to order the book. I've seen the postcards passed out at writing workshops and conferences, even mailed to the media and to friends. I've never used them, but am seriously considerng getting some printed to promote my book, which is coming out in late August. I think that bookmarks might be even better than postcards as they are so useful. I'm going to have some printed here in Australia before I go to the UK next year for my book launch. People do love a little freebie!